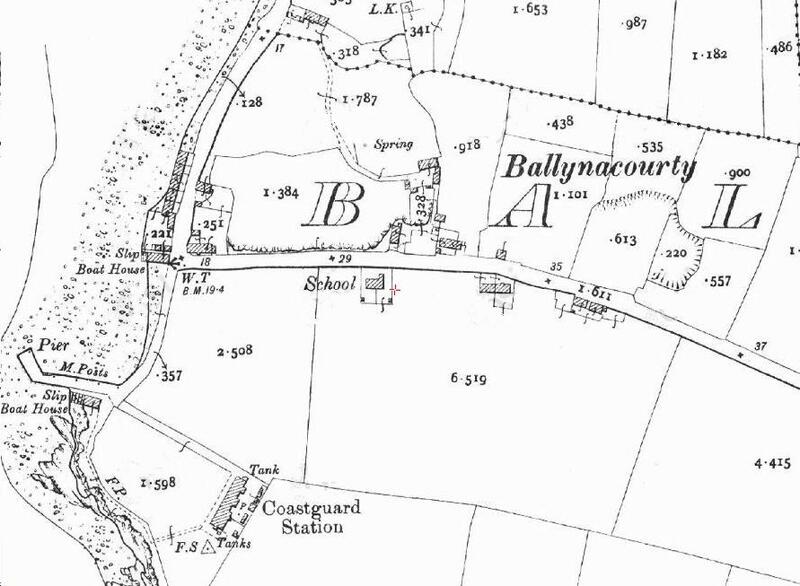 Ballynacourty National School comprises a detached three-bay single-storey rubble stone national school, dated 1885, with single-bay single-storey gabled projecting lower porch to left. The building was refenestrated and extended, c.1985, comprising single-bay single-storey flat-roofed lower return to south. It has a pitched slate roof (gabled to porch) with clay ridge tiles, red brick running bond chimney stack, and cast-iron rainwater goods on exposed timber eaves. The walls are random rubble with cut-stone date stone/plaque, and unpainted roughcast lime render to side (east) elevation. There are square-headed window openings with stone sills, and red brick block-and-start surrounds. Refurbishment included replacement timber casement windows, c.1985. There is a square-headed door opening with red brick block-and-start surround, and tongue-and-groove timber panelled door. 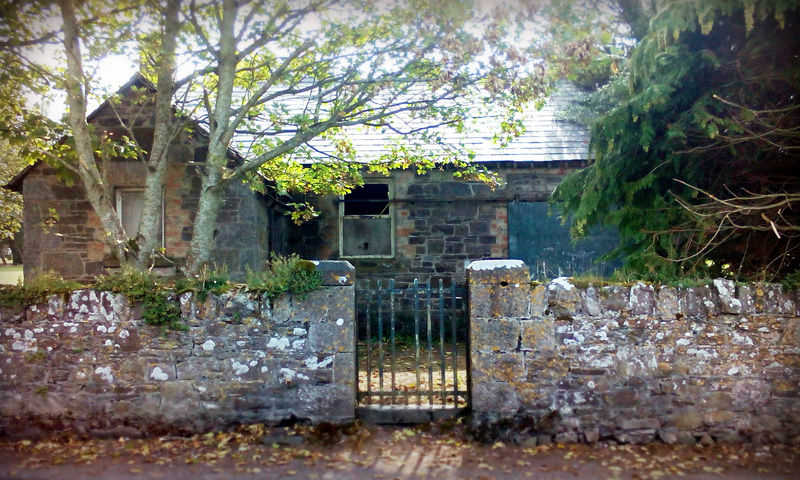 The building is set back from line of road in its own grounds with sections of random rubble stone boundary wall to the front having rubble stone vertical coping, pair of tooled limestone ashlar piers, and wrought iron gate. 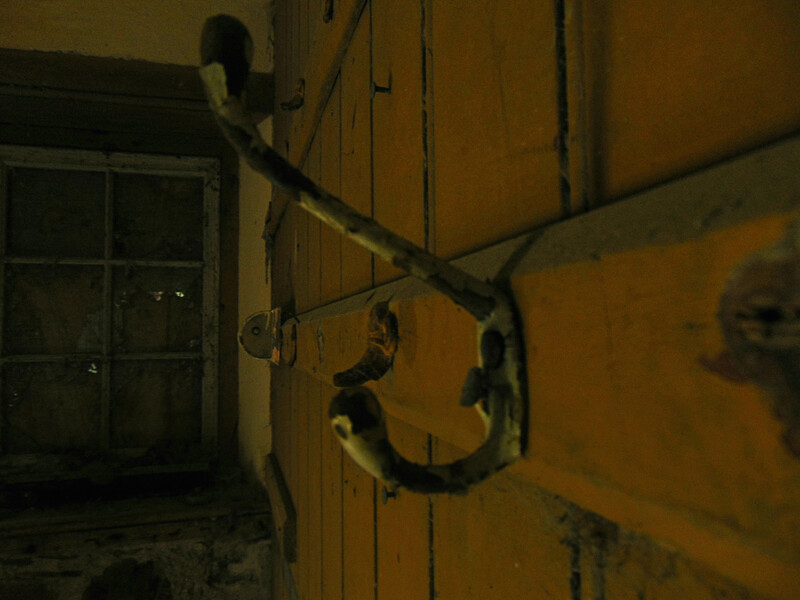 Internally the gabled projecting lower porch retains the original built-in fittings of the coat room including the original coat-hooks though much of the remainder of the interior is in a poor condition and is currently being used as a storage space by the nearby golf club. An appealing small-scale school that is of particular significance as one of the earliest surviving purpose-built educational facilities in the locality. The construction in rubble stone with red brick dressings produces an attractive textured effect, and the school retains much of its original form and early character, despite having been decommissioned in the late twentieth century. The school forms a modest feature in the streetscape, the rubble stone boundary wall and early wrought iron gate enhancing the historic quality of the site.